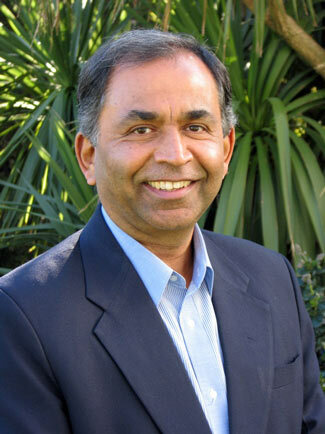 Dr. Krishnamurthy Sriramesh is recognized for his scholarship on global public relations. For over a decade he has advocated the need to reduce ethnocentricity in the public relations body of knowledge. To that end, he edited a book on Public Relations in Asia that remains the only book on the subject. His research interests also extend to public relations for development, corporate social responsibility and public relations, and the use of new media for public relations. He rich teaching experience includes teaching at 10 universities in four continents. During his first stint at Purdue as an Assistant Professor, he won the Charles W. Redding Excellence in Teaching Award. His teaching was also recognized at the University of Florida with the Teacher of the Year award. He has won several awards for research including the Faculty Research Award and the Golden Gator Award at the University of Florida and top-three papers at six international conferences. In 2004, he won the prestigious Pathfinder Award from the Institute for Public Relations (USA) for “original scholarly research contributing to the public relations body of knowledge.” Only one such award is given each year by this institute. He has co-edited The Handbook of Global Public Relations: Theory, Research, and Practice, which won the PRIDE award presented by the National Communication Association (U. S. A). He also has co-edited Public Relations Research: European and International Perspectives, Culture and Public Relations, and edited Public Relations in Asia: An anthology. Between these books, he has contributed to chronicling, for the first time in the field, information about public relations in about 50 countries and regions of the world. He also has presented over 80 research papers, seminars, and talks in over 30 countries. In addition to authoring over 30 book chapters, he has published over 30 research articles in refereed journals. He serves as the Assistant Editor of Public Relations Review and is Associate Editor of the Journal of Communication Management. He is a member of the editorial board of several journals such as the Journal of Communication, Journal of Public Relations Research, Management Communication Quarterly, the Digital Review of Asia-Pacific and the Encyclopedia of Public Relations (Second Edition). Thousand Oaks, CA: Sage. 691 – 707.